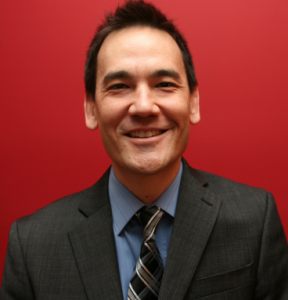 Hear Jeff Yamaguchi speak at the Reaching Readers Book Marketing Conference on May 28 in NYC! PP: The Don Draper approach to advertising has nothing to do with data and everything to do with “big ideas.” Is that still a good approach to advertising? Yamaguchi: I believe you need the “big ideas” to get interesting data. Small, checkbox-style, sounds-good-on-paper marketing campaigns just aren’t going to supply metrics that are long-term helpful. I also want to say that I don’t subscribe to those who sell “data” as a strategy — often that comes from people who don’t actually touch campaigns or even post content to the web. Useful data is readily available for those who take the time to dig in and consistently analyze it. The information can help make the “big ideas” more effective, but the big ideas are still going to come from creative marketers who understand the nuance of the digital space. Print ad in the New York Times Book Review or banner ad on nytimes.com? Why? Banner ad on nytimes.com. It’s easier to weave in and connect the banner ad to the (hopefully larger) campaign you are running. There’s the eyeball awareness, like a print ad, but you can more effectively convey a curious narrative or opportunity for the reader, and they can more easily enter into the creative space you’ve created to showcase the new book and forge connections to the author. Is native advertising a bunch of hype or the future of marketing? I don’t really see this as a new thing. I call this kind of ad an advertorial. What’s interesting is how these advertorials are being used in various media platforms, how they are being prominently weaved into not just outward facing design, but into the CMS and the backend systems that adjust a visitor’s experience. I don’t much care for it as a reader, but I understand it’s appeal as a marketer. It’s definitely part of the current toolbox — and for book publishers specifically, it’s a pretty solid vehicle given the nature of what we are selling — comprehensive, well executed content around a particular subject of interest. Jeffrey Yamaguchi is the Director of Digital Marketing at Abrams Books, where he manages the publishing house’s web and social media program and oversees digital campaigns. Prior to this role, Jeffrey was the Director of Digital Marketing at the Knopf Doubleday Publishing Group at Random House, where he launched new digital products, such as the Julia Child Mastering the Art of French Cooking app, and directed online marketing campaigns for many authors, including John Grisham, Dan Brown, Chuck Palahniuk, and Robert Reich. Jeffrey is the author of two books, both published by Penguin, and currently runs 52projects.com, a popular website about creativity and project-making. Additionally, Jeffrey currently serves as co-chair of the Brooklyn Book Festival’s Marketing & Publicity Committee, and is an adjunct instructor at the NYU School of Continuing and Professional Studies. Along with Gordon Hurd (Senior Editorial Director, Interactive One), Cary Murnion (Director, Co-founder, HONEST) and Boris Kachka (Contributing Editor, New York magazine), Jeff will speak at the Reaching Readers Book Marketing Conference on May 28 about “Innovation and Creativity in Book Advertising.” Register now to take part in the discussion.